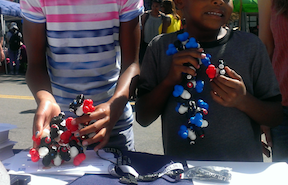 May 17-18, 2014: Exhibited at Maker Faire Bay Area 2014. Download flier. Apr 26, 2014: Promita Chakraborty gives a talk and hands-on session with students in grade 7-10 (to students from Johns Hopkins Center for Talented Youth) at Berkeley Lab. 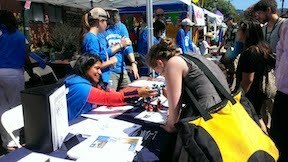 Sep 08, 2013: Promita Chakraborty, Outreach with Peppytides in the Berkeley Lab booth at the Solano Stroll 2013. Aug 26, 2013: Work on Peppytides featured in Berkeley Science Review blog. Check out this post here.